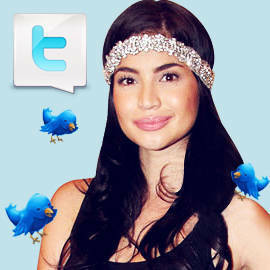 Anne Curtis on boyfriend and No.1 fan Erwan Heussaff, Divine Lee on Christmas preps, Gang Badoy on NU 107, and more! - Venus Raj is so HOT! sya na ang thinspiration ko! - @erwanheussaff thanks for being my number 1 fan uuuuuuy. - Its sad that people don’t even let ambulances pass here.. The rule is, go to the side or shoulder and stop. Not cut in front and/or follow. - I added feathers sa xmas tree. Ang judgment??? Baklang bakla daw. Haha! - Christmas trees are ♥♥♥ They look so pretty! Mine looks a little overdone-you can barely see the tree. I reused all the decors available! - I just read James’ interview w/ tito Ricky- truth is we r now communicating better. Honest, walang ill feelings na on my part. He said there na he couldn’t talk about me- I will talk about him, OKAY kami. I even told him na I’m praying we end up good friends because that’s how we started. Told u- it’s not the way I hoped or how I planned but somehow it’s enough! - Sitting on the sidewalk outside NU107. Last broadcast, hundreds out on the street. Love. - NU107. An idea, some wires, engineers, voices, mics, listeners +music. But look! Look-it built a world. - To be accurate, the last song of NU107 wasn’t Huling El Bimbo, it was Lupang Hinirang. Fitting. - Just walked back from NU to take a few last photos. 3 candles still burning outside. "Ang tanging pabaon ko ay pag-ibig." Thank u @nu107. - Right after NU signed off, the crowd chanted "N-U, N-U!" I wondered who they were cheering for. Not the DJs nor the owners -but themselves. - To me, the apology was not needed. Can’t be too sensitive. Ganun din naman tayo sa ating sarli at sa iba. - A friend asked a Thai why their language sounds like cats meowing. Thai answered saying, Tagalog sounds like ’boiling water’ to dem. - Can we all calm down abt Mai Mislang? You can’t fire someone over her breeding. In fact, with her tact, Id make her a Presidential sister. - UK, Aus warn of terrorist attacks in Manila malls. They obviously hvnt considered the fact that our security guards come w/ MAGIC WANDS. - Is there any chance the "imminent terror attacks" include Korina’s return to television? I kid. I kid. - Rather than change anchors, I thnk ABS-CBN, GMA need to rethink the news they present. I mean, how is a 4-car pile-up national news? - An ad for a Fort condo boasts they have the "longest stretch of Manila golf course views." You know, so u cn see our politicians in action. - And so tonight, TV Patrol brings back Noli and Korina while Willie brings in Shalani on TV5. I’m sure NBN4 won’t take this sitting down. - So, kites have been banned at BGC and at the MOA area and now at the Ateneo. Oh well. - But to be fair, it probably just means that I just need to fill out the bureaucratic red tape of a permit every time I intend to fly a kite. - What a horror it would be if UP one day banned picnics. - News: Terrorist attacks may be imminent! ... In LATE-BREAKING news, the attacks were cancelled cos the bombs were sent to RP, not the PHL. - NU107’s final sign off is the final ravaging. Artwork by Warren Espejo. Photo by Noel Orsal of PEP.ph.